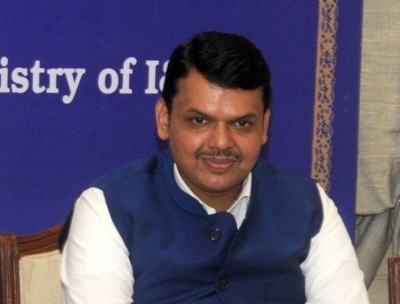 Nagpur (Maharashtra), July 22 (IANS) In a major embarrassment to Chief Minister Devendra Fadnavis, a state-government panel on Saturday questioned the massive delays in disbursing Rs 10,000 ‘immediate relief’ as part of a farm loans waiver scheme announced to protesting farmers over a month ago. The Vasantrao Naik Sheti Swavalambi Mission (VNSSM) Chairman Kishore Tiwari has said that contrary to claims made by the government to provide ‘immediate assistance’ to all the eligible nine million farmers, barely a fraction – or 3,200 peasants – have been handed over the amount so far. “This has made a mockery of the farmers, who are running from pillar to post since nearly 40 days for the promised emergency assistance of Rs 10,000. Now, the sowing season is ending and even the monsoon will depart soon,” Tiwari told IANS. The remaining farmers who did not get aid continue to suffer or commit suicide, he pointed out. “Despite the state government offering a guarantee to the Reserve Bank of India, a majority of the public sector banks have not initiated steps to disburse this small amount which could provide big relief to farmers in this critical sowing season,” Tiwari said. So far, only the Vidarbha-Konkan Gramin Bank, Maharashtra Gramin Bank and DCCBs have disbursed the Rs 10,000 to around 3,200 farmers. The financial aid announcement was made by the state government on June 11 after an unprecedented 11-day strike by farmers shook the political establishment. Tiwari said on June 14 the government issued an order asking farmers to collect the Rs 10,000 from banks the following day (June 15). However, till date the farmers have been making rounds of the banks and return empty-handed, he said. He demanded that the government must fix accountability for this on the bureaucrats who briefed the ministers at the time of negotiations with the farmers leaders, “to avoid similar humiliation in future”. Each bank was required to get the board’s approval for the July 4 guarantee and then initiate the process to disburse the money. Accusing the banks and bureaucracy of “a hostile attitude” towards farmers, Tiwari said that so far the PSU banks have disbursed barely 15 per cent of the crop loans targeted by RBI-NABARD for the current Kharif season, compared to 80 per cent which was achieved by July 21 last year. This year, the crop loans outlay is likely to be around Rs 58,662 crore, an increase of nearly Rs 7,000 crore over last year’s outlay of Rs 51,235 crore. “This year, however, the insensitive banks and bureaucrats have made a joke of even the small amount of Rs 10,000, and owing to their negative temperament, farmers’ suicides continues unabated,” Tiwari said. Previous: Facebook coming with 'modular' smartphone?